We are pleased to announce the 2018 SCMG Film Festival on Saturday evening May 5, 2018 at the Barrymore Theatre on Atwood Ave. Madison Wisconsin. 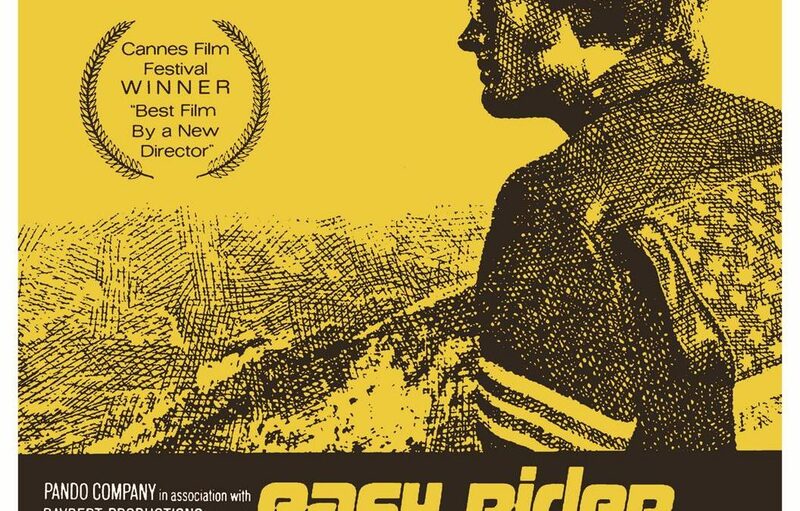 The featured film is Easy Rider, a landmark counterculture film, and a “touchstone for a generation” that “captured the national imagination”, Easy Rider explores the societal landscape, issues, and tensions in the United States during the 1960s, such as the rise of the hippie movement, drug use, and communal lifestyle. The motorcycle and the freedom it represents is an integral part of the classic movie. Easy Rider is a 1969 American independent road drama film written by Peter Fonda, Dennis Hopper, and Terry Southern, produced by Fonda, and directed by Hopper. The significance of this film in our motorcycle culture since it was released cannot be over-stated. The Barrymore Theatre Doors will open at 5:30 p.m. The show starts at 6:30 p.m. Tickets are $1 at the door. As with previous SCMG Film Festival events, motorcycle-only parking will be available for on-street parking near the Barrymore Theatre. All attendees are invited to a party with cash bar in the lobby of the theatre after the feature film showing. It’s the most famous motorcycle in the world, period. Show someone a photograph of the ‘Captain America’ bike from ‘Easy Rider’, and everyone knows what they’re looking at. Show them Rollie Free stretched out in a bathing suit over his Vincent at Bonneville in 1948, and they’ll laugh, but won’t know a thing about the bike or the man. Show them TE Lawrence on his Brough Superior, and they’ll recognize neither the quizzical WW1 hero, nor his Brough Superior. The Captain America chopper transcends its own story; nobody needs to have seen the film, nor recognize Peter Fonda, to understand they’re looking at an icon, a magical talisman of Freedom. Such is the power of the machine’s image, and its place in the cultural history of motorcycling around the world. Far more people idolized that motorcycle than ever saw the film; all they needed was a photograph of Dennis Hopper (on the ‘Billy’ bike) and Peter Fonda, riding through the anonymous landscape of the American West, modern day cowboys roaming the land; free, just free. 1st Sunday in May and October.